Nan King, an oyster girl, is captivated by the music hall phenomenon Kitty Butler, a male impersonator extraordinaire treading the boards in Canterbury. Through a friend at the box office, Nan manages to visit all her shows and finally meet her heroine. Soon after, she becomes Kitty's dresser and the two head for the bright lights of Leicester Square where they begin a glittering career as music-hall stars in an all-singing and dancing double act. At the same time, behind closed doors, they admit their attraction to each other and their affair begins. 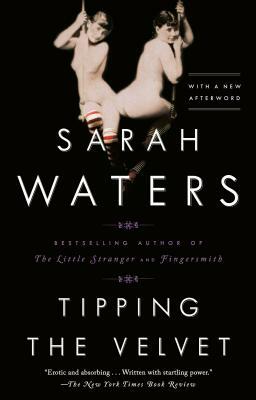 Sarah Waters is the New York Times–bestselling author of The Paying Guests, The Little Stranger,The Night Watch, Fingersmith, Affinity, and Tipping the Velvet. She has three times been short-listed for the Man Booker Prize, has twice been a finalist for the Orange Prize, and was named one of Granta’s best young British novelists, among other distinctions. Waters lives in London.